Doctors in England are prescribing six times more drugs to treat Alzheimer's disease compared to a decade ago. Data published by the Health and Social Care Information Centre (HSCIC) shows the number of prescriptions jumped from 502,003 in 2004 to three million in 2014. A Government drive to encourage GPs to diagnose cases of dementia meant prescriptions also increased last year. From October 1 2014 to March 31 2015, doctors received £55 for every patient they newly diagnosed with dementia. There were 336,445 diagnoses made in September 2014, according to the HSCIC, prior to the introduction of the scheme. Diagnoses had climbed to 400,707 by the end of March 2015, rising to 423,000 by December 2015. The proportion of people diagnosed with dementia rose from 643 per 100,000 people in April 2014 to 755 people per 100,000 in December 2015. Alzheimer's is the most common type of dementia. It involves a loss of mental ability associated with the gradual death of brain cells. Memory problems become more severe as the condition develops over time, while further symptoms can also develop. But it does not have to mean the end of people's passion for holidays abroad, with Alzheimer's travel insurance available to those with the condition. While there is no cure for Alzheimer's, medication is available that can help improve some of the symptoms and slow down its development. Donepezil, galantamine, rivastigmine and memantine are usually prescribed for the condition. According to the figures, donepezil was the most commonly prescribed drug for Alzheimer's in 2014. 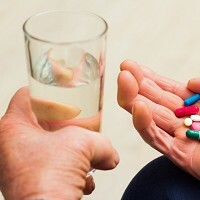 The National Institute for Health and Care Excellence recommends donepezil, galantamine and rivastigmine for managing mild to moderate Alzheimer's disease. Memantine is recommended for those with moderate Alzheimer's disease who cannot tolerate the other medicines, as well as those with severe Alzheimer's. A total of £45.7 million was spent on Alzheimer's drugs in 2014, up from £42.8 million in 2004. The record still stands at £110.8 million in 2011, when a patent on one drug expired.